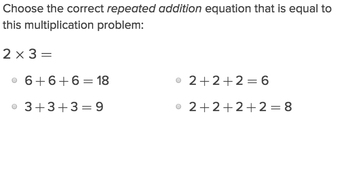 Repeated addition is a tool that can help you solve multiplication problems. 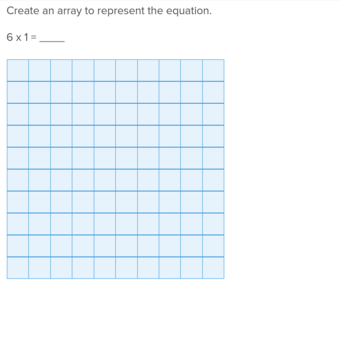 In this worksheet, you'll find the total by writing both repeated addition and multiplication equations. Part two of two. 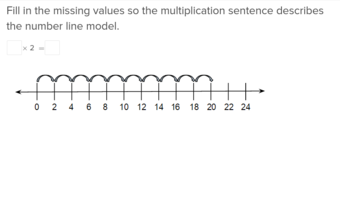 Explore Multiplication: Repeated Addition (Part One)Here. Year four is the year of multiplication. 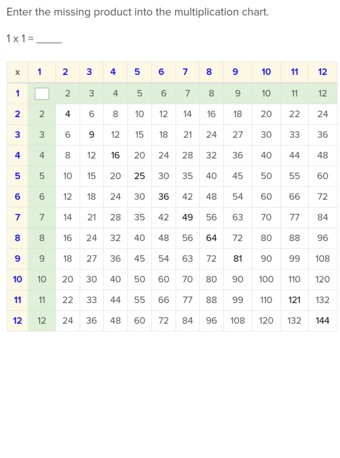 Though it was most likely introduced to kids in year three, year four is when kids are tasked with mastering their times tables and developing a stronger understanding of this key operation. 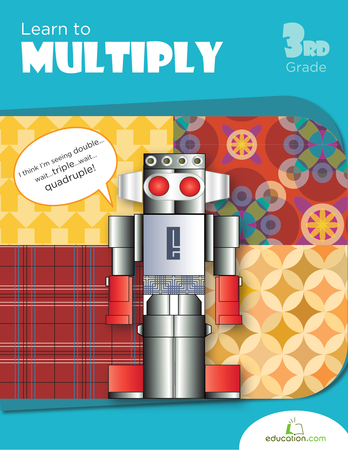 This guided lesson in understanding multiplication can help give third graders a leg up. 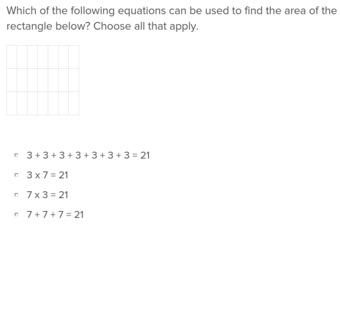 For even more practise, consider downloading the recommended multiplication worksheets that accompany the lesson. Year four is the year of multiplication. 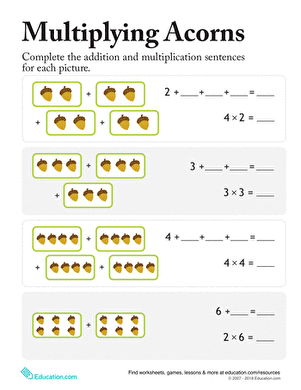 Introduce your second grader to multiplication with this worksheet that asks her to match multiplication expressions with addition problems. 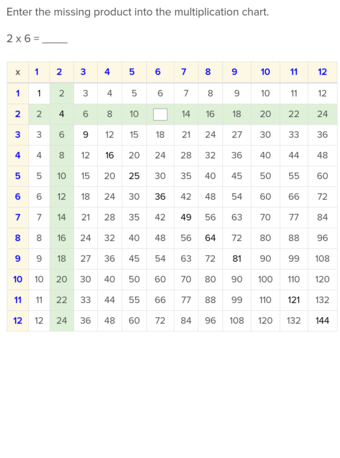 Introduce your third grader to the basics of multiplication with these handy times table charts, worksheets and word problems. 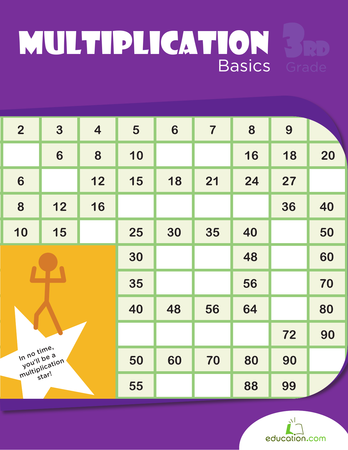 Help your child develop their place value superpower with this practise sheet! 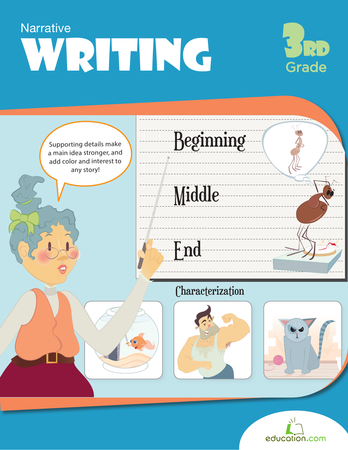 This worksheet will help your student practise breaking down big numbers into expanded form using place value, from the ones place to the hundred thousandths place. 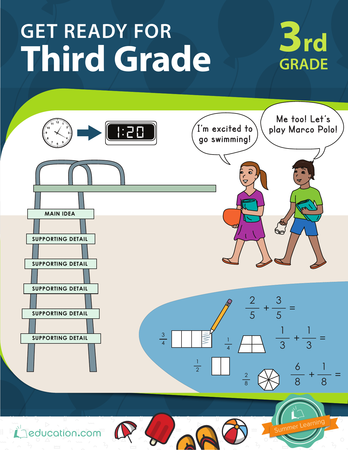 This workbook offers a good range of multiplications activities to strengthen your third grader's maths muscles. 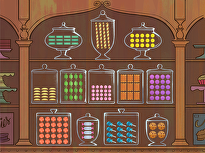 Practise fractions over Spring Break with all kinds of cute and colorful spring things. 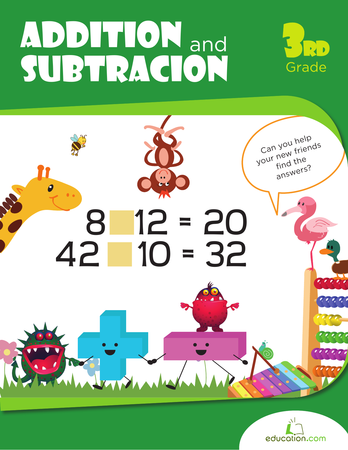 Brush up on addition and subtraction with these maths worksheets that will challenge your third grader. 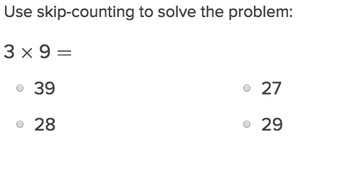 Students will apply their place value and number sense knowledge in this maths worksheet! These acorns are not just falling ... they're multiplying! 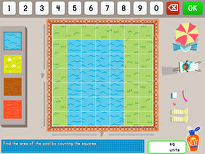 Kids will complete the addition and multiplication number sentence represented by the acorn pictures. Ones, tens, and hundreds! Oh My! 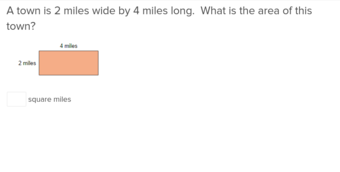 With this worksheet, your student will find the place value of a digit in a number. 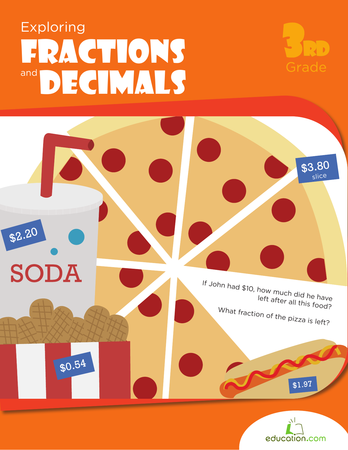 Fractions and decimals are way more fun when you apply them to real life scenarios, like parties, food and pets! 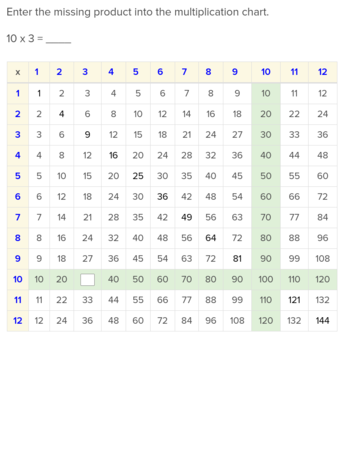 This workbook teaches kids all about splitting up numbers.